Snow White and the Seven Dwarfs are on an endless adventure in a fantasy world in Dwarfs Gone Wild casino slot game. Luckily, everyone can accompany them to reap massive rewards as the dwarfs dig for gold and riches. This ambitious 5-slot video game offers a massive 96.38% RTP with maximum win 2,535x initial bet. Developed by Quickspin, this highly-anticipated game will be released on June 12th, 2018. Dwarfs Gone Wild is developed around the classic fairytale theme of the Snow White and the Seven Dwarfs. The slot uses all the symbols from the fairytale including the famous Seven Dwarfs, Snow White, the Magic Mirror, the Huntsman, and so on. In addition to using the existing fairytale characters, Quickspin has introduced new personalities for each of the dwarfs and associated bonuses based on their traits. For example, the game has a Wizard, a Blacksmith, a Racer, a Strongman, a Huntsman, a Banker, and a Bomber dwarf, each spawning unique bonuses on the reels. It’s a 5-reel slot with 20 paylines and medium volatility. Players can get up to 2 respins with Magic Mirror as they hunt for the massive Golden Minecart Free Spins Bonus. Players win frequently and big wins are available for the lucky ones. Those with careful strategy will reap riches and even on a bad day, they won’t be much worried either. It’s a journey in a fairytale world except that wins are real. The game is set in a mine shaft where dwarfs are busy digging for riches. Each player equips special skills that boost your gameplay. These skills, or call them powers, become your rewards and bonuses in the game. As players accumulate victories, they are added as a Dwarf to the Golden Minecart Bonus meter. This meter, displayed to the left of the reels, starts off at around 75% (varies with the size of your bet) when you load the slot and gradually fills. Once it’s full, it triggers Free spins bonus and unlocks special Dwarf features. Along with the meter, players also have seven Minecart gold symbols to trigger for additional bonuses when the meter fills up, with 1 active Golden Minecart available from the start of the game. When the Golden Minecart Bonus is active after the meter fills up and the player wins, every Dwarf symbol on the main reels is added to the bonus. Surprisingly, each Dwarf offers a unique bonus. The Banker gives a multiplier, the Bomber triggers spreading wild bonus (bomber runs around and throws explosives that blast and reveal riches), the Racer produces wild symbols, the Huntsman gives players a free wild placed at the best position on the reels, the Blacksmith full reel wild, wizard 5 extra Free spins, and strongman rolling wild on reels 3, 4, and 5. Apart from special Dwarf powers and Minecarts, players also have the famous beauty mirror. It’s used as a special bonus in the game that gives 300 additional Snow White symbols along with two Free spins every time it’s triggered. Players can win big with the combination of Golden Carts and Magic Mirror. Dwarfs Gone Wild is an upcoming game from Quickspin. The game has built a lot of hype prior to its release for its bonuses, features, and an attractive maximum win. Here are some of the best features of this video slot at a glance. The gameplay is straightforward where you play to fill the bonus meter and try to trigger additional Dwarf bonuses on the way. 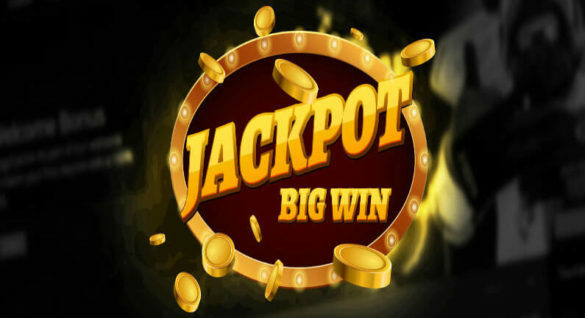 The game features free spins and bonus spins. This classic fairy tale-style game features some of the best animations and graphics found in slot games. The winning animations feel as if taken from a Hollywood movie. Quickspin has paid special attention to the game music, coming up with an amazing soundtrack that adds a sense of authenticity to the game. When playing this game, players are never bored as something is always about to happen in this video slot. It’s engaging, potentially lucrative, and highly rewarding. It’s definitely worth a try. The game came out on 12th June 2018 so be sure to register with your favorite online casino to try your luck.